CRA-W Distinguished Lecture Series is proud to support the upcoming MINKWiC by providing Jakita Thomas as the Keynote speaker. 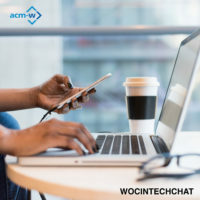 The Missouri, Iowa, Nebraska, and Kansas Women in Computing (MINK WIC) conference is a regional meeting modeled after the Grace Hopper Celebration of Women in Computing. The conference brings together students, faculty, and technology leaders from the four state area to discuss the role of women in today’s computing and technology fields. The goal is to provide an opportunity for young women to explore opportunities in computing, to network with other women from academia, industry, and government, and to create friendship among women in the region who share the same interest and passion for computing. Registration is now open and will close on Friday, September 29th. We do believe that we will sell out and recommend registering as soon as possible. The participation fees are owed in full upon registration but must be received no later than October 3, 2017. Payments by mail must be postmarked no later than Saturday, September 30, 2017. Participation is not guaranteed until full payment of the registration fee is received by October 3, 2017. Lack of payment received will result in cancellation of registration. 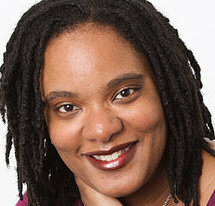 Jakita O. Thomas is a Philpott Westpoint Stevens Associate Professor of Computer Science and Software Engineering at Auburn University in Auburn, AL. Dr. Thomas is also Director of the CUltuRally & SOcially Relevent (CURSOR) Computing Lab. Her research interests include exploring the development of computational algorithmic thinking, promoting access to healthcare information and services for under-served populations, improving reasoning using expert cases, scientific reasoning, complex cognitive skills learning, and computer-supported collaborative learning. She received a Bachelor of Science degree in Computer & Information Science with a minor in Mathematics from Spelman College in 1999. In 2006, Dr. Thomas was conferred a Ph.D. in Computer Science with a specialization in the Learning Sciences and Technology from the Georgia Institute of Technology in Atlanta, GA, where she was a Presidential Fellow, National Physical Science Consortium Fellow, tutor, mentor, and Research Assistant. Dr. Thomas is a recipient of the National Science Foundation’s Faculty Early Career Development (CAREER) Award (2012 – 2017). She is also a recipient of the Presidential Early Career Award for Scientists and Engineers (PECASE) (2016). Dr. Thomas has also been awarded the Spelman College Presidential Award for Excellence in Teaching by a Junior Faculty Member (2013) as well as the Spelman College Presidential Award for Scholarly Achievement by a Junior Faculty Member (2015). Dr. Thomas’ keynote address for this event is titled Supporting Computational Algorithmic Thinking: Exploring Social Change and Complex Cognitive Capability Development in the Double Bind.